Reports have been coming out from Spanish media for some time now about the departure of Jonathan Viera and now it seems like a real possibility. The club officials are debating whether they sell him with a buy-back option or to loan him out. Right now they are in favor of loaning him out to Rayo Vallecano in order to secure the services of Javi Fuego this winter transfer window. If you are out of the loop let me tell you what is happening. Namely Fernando Gago has been frozen out of the squad because the team is looking to sell him, as the coaching staff and officials aren't happy with Gago's performances and feel like they don't need him, because as I reported from the start he is not a defensive midfield and has failed time and time again to protect Valencia's defense. The match against Real Madrid was the last straw, coupled of course with the reports of Gago wanting to leave earlier in 2012 and they club wants to sell him. Of course they want to recoup the 4 million they spend on him in the summer, so the cheapest they will sell him for is 3.5 million euros, while at the same time Valencia CF is trying to buy Javi Fuego and are ready to pay up to 1.5 million euros to secure his services if they can get the money they want for Gago. 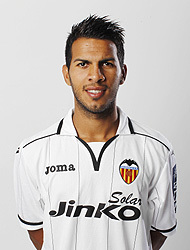 If Gago sells cheaper than his asking price, then Valencia CF can offer only up to a million and even that is a stretch, so they want to use Jonathan Viera in the deal and loan him out for 6 months to Rayo Vallecano. Its a delicate position and we'll see what happens, but there are only 3 days till the transfer window closes and we'll see how, if at all these deals pan out. Personally I like Viera, if you look at his statistics, his team play, his individual performances he's been a good performer, who's only failed when the team has failed and is not due to his poor individual performances, but on the other hand now that Canales is back, he is really going to have a tough time getting into the team, so being loaned out for 6 months can flesh out his skills and he can regain his confidence and skills, while at the same time will help the deal for Javi Fuego go through. Of course all of this depends mostly on whether Gago is sold and if not, its going to be really tough doing any of this.